(Santa Fe, NM) – On March 16th, the New Mexico legislature passed HB 521, a bill that expands the role of utilities in electrifying the state’s transportation system. This is a major step in New Mexico’s commitment to reduce emissions and decarbonize the transportation sector, which is the leading source of greenhouse gas (GHG) emissions in the U.S. The bill requires regulated utilities to develop electric vehicle (EV) infrastructure programs that accelerate the deployment of charging stations in partnership with third party charging companies. This includes Level 2 and DC fast-charging infrastructure for light-duty passenger vehicles, as well as for public transit and publicly-owned fleets. The bill clarifies that these charging stations will not be regulated like other utilities, which gives charging companies greater regulatory certainty and attracts more private investment. “HB 521 will increase consumer access to charging stations, thereby overcoming one of the biggest barriers to electric vehicle adoption,” said Tammy Fiebelkorn, New Mexico Representative for the Southwest Energy Efficiency Project (SWEEP). There are currently only 158 public EV charging ports in New Mexico and the state is ranked in the bottom ten states on the metric of public EV chargers per capita. “The number of charging ports must increase quickly, and utilities are well-positioned to make this happen,” stated Fiebelkorn. Electric vehicles save drivers money given that the cost to recharge an EV is the equivalent to paying about $1.10 per gallon. EVs also deliver air quality and climate benefits. Unlike gasoline-fueled cars, EVs will get cleaner each year as New Mexico’s electricity grid transitions from fossil fuels to renewable resources. “Widespread adoption of electric vehicles has the potential to benefit all utility ratepayers, regardless of whether or not they own an EV. 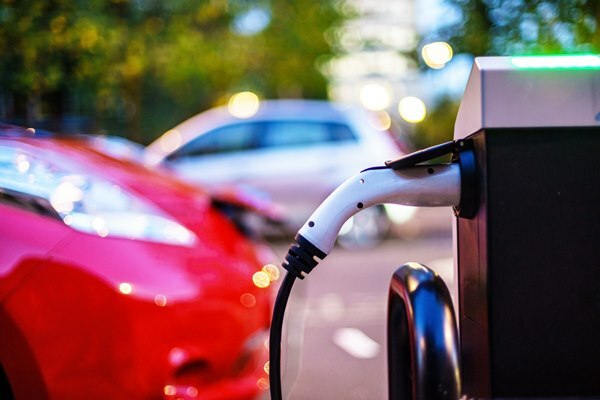 With the combination of a ubiquitous charging infrastructure and thoughtful rate-design, EV charging can absorb spare grid capacity, help integrate renewable resources into the grid, and drive down energy bills for all utility customers,” said Matt Frommer, Senior Associate in SWEEP’s Transportation program. Under HB 521, utilities are directed to establish rate designs that encourage off-peak EV charging in order to maximize these economic benefits. Utility investment in charging infrastructure has proven to be a powerful strategy for accelerating EV adoption. Today, 35 regulated utilities, including utilities located in Utah and Nevada, are investing a combined total of more than $1 billion in tens of thousands of new charging stations. Similar investments in New Mexico as well as in Colorado and Arizona will support rapid growth of the EV market throughout the Southwest. Governor Michelle Lujan Grisham is expected to sign HB 521 into law.